Stansport's Commercial Rain suit is crafted to offer the best foul weather protection. It's heavy duty PVC/Polyester laminate construction features.42mm thickness. 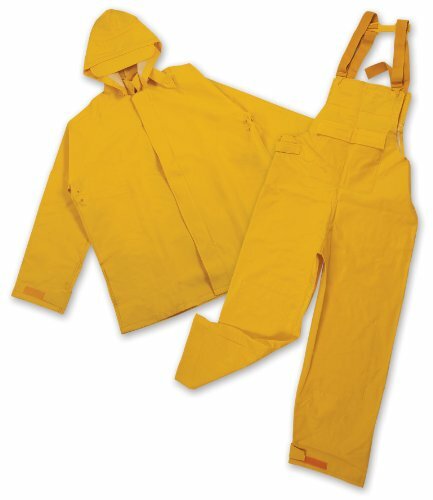 The shoulders and sleeves are full cut and the full bib overalls offer j-hook suspenders. The jacket also has large cargo pockets and storm flaps. View More In Trench & Rain.